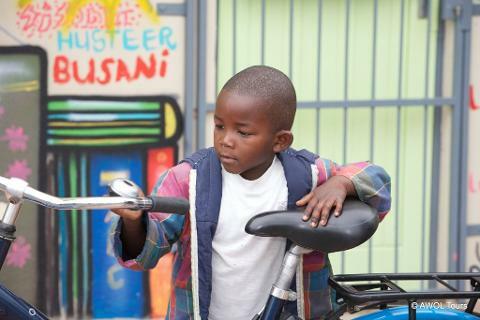 AWOL Bicycle Township Tours departs from Masicorp Chasmay Road Campus where we have partnered with Songezo Jim cycling academy in Masiphumelele. 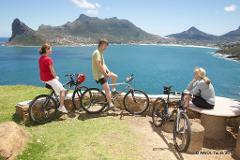 This scheduled cycle tour departs daily at 10am and 2pm. Guests can opt to upgrade to a private tour at any other time. 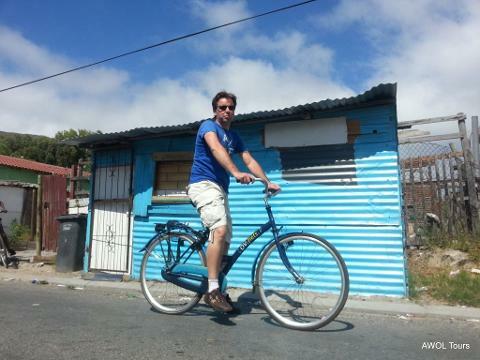 En route we visit BEN (Bicycling Empowerment Network) a bicycle non-profit organisation that imports second hand bikes, trains bike mechanics and assists entrepreneurs to operate bicycle shops in communities. 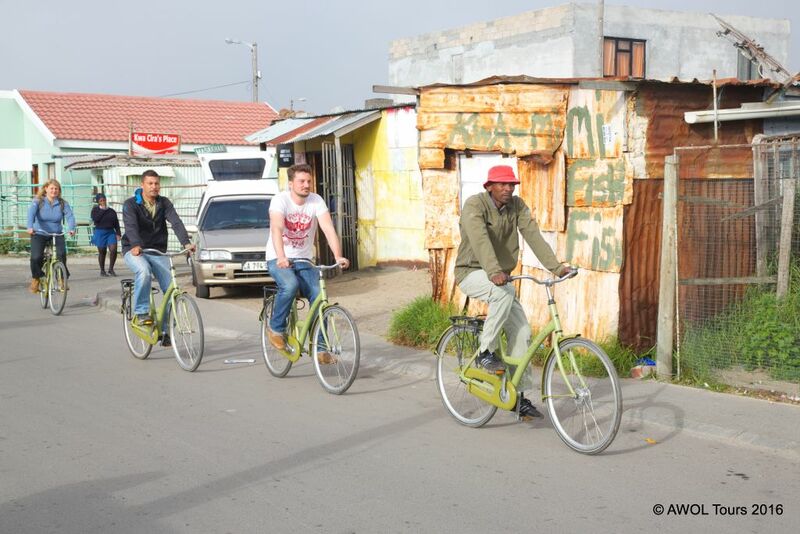 A local guide will take us round the township visiting interesting places and explaining some local Xhosa customs. During school time, we visit a local crèche where the teachers work under very difficult circumstances. 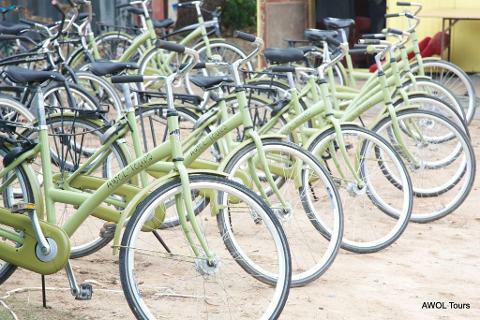 Part of the tour proceeds go towards the betterment of their facilities. 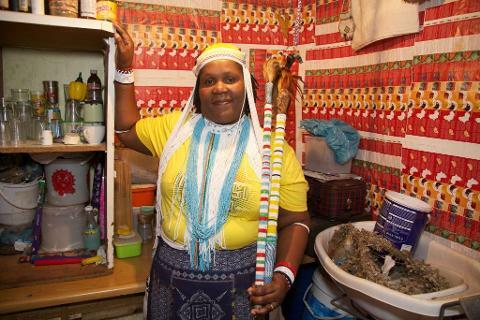 A highlight of the tour is to visit a Sangoma (traditional healer) who performs interactive dancing and drumming. For lunch we visit a local African restaurant or a local lady home who hosts the tourist groups in her home makes authentic African tea or lunch. 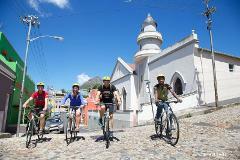 10% of all tour proceeds go directly to Masicorp a non profit organisation.